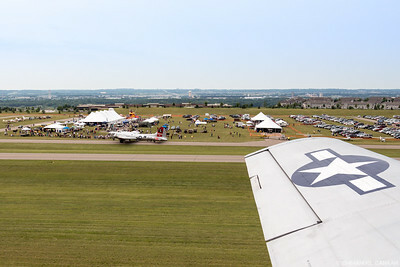 Images taken at the 2014 Air Expo show at Flying Cloud Airport in Eden Prairie, MN. 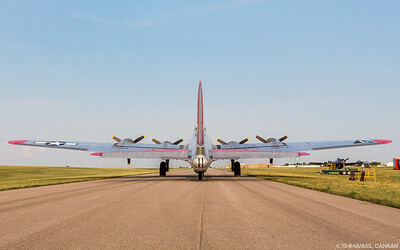 One of less than 50 remaining Boeing B-17 WWII-era bombers, Yankee Lady sits on the ramp at Flying Cloud airport in Eden Prairie, Minnesota preparing for the upcoming airshow. 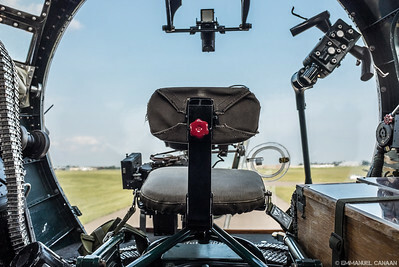 The view from the nose gunner's seat in the Yankee Lady, a WWII-era B-17 bomber. 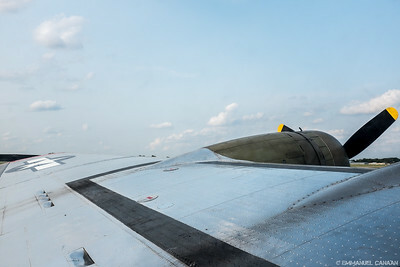 The view from the Boeing B-17 Yankee Lady. 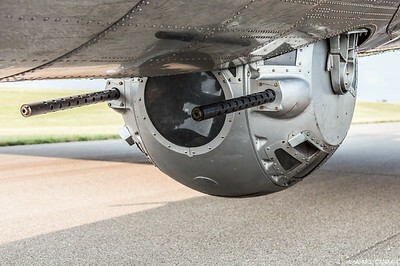 The Boeing B-17 Yankee Lady shows off its .50 caliber weaponry, including the ball turret at center. 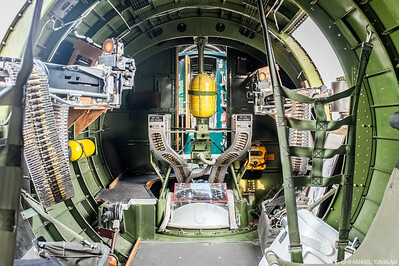 A view of two powerful .50 caliber guns from the dorsal turret of the B-17 WWII-era bomber, Yankee Lady. 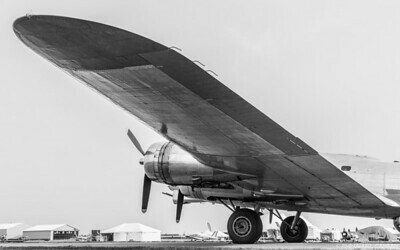 The B-17, Yankee Lady, shows off the serious .50 caliber power of its ball turret. 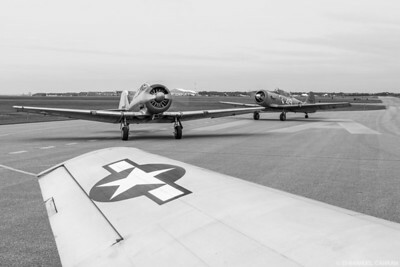 A group of WWII-era T-6 Texans prepares to delight the crowds at AirExpo 2014 in Eden Prairie, Minnesota. 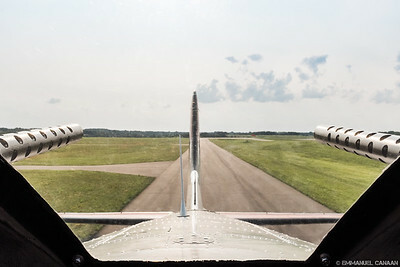 A view of the AirExpo 2014 show grounds as seen from a T-6 Texan. 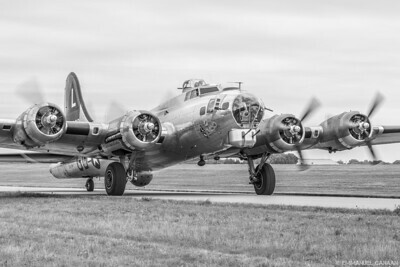 The B-17, Yankee Lady can be seen on the taxiway. 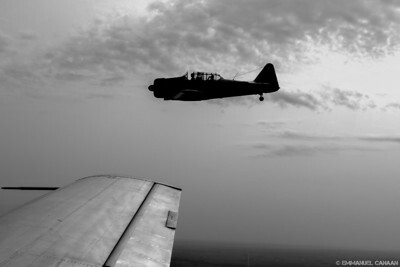 Two T-6 Texans form up with my aircraft over the skies of Minnesota. 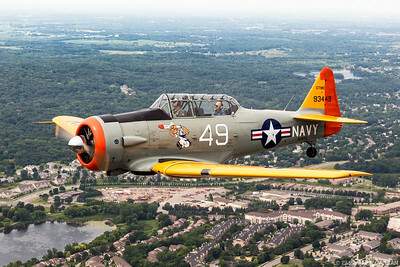 The WWII-era T-6 Texan combat trainer is pulled along with the power of its large radial engine over the skies of Minnesota. 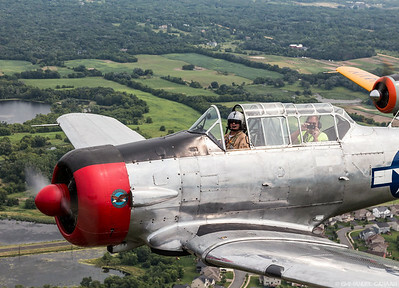 A WWII-era T-6 Texan combat trainer, flies high over the plains of Minnesota. 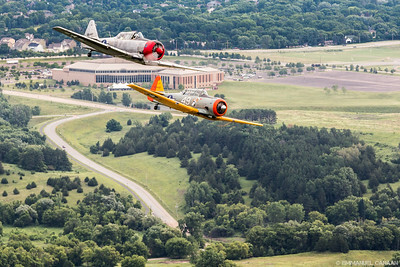 A pair of T-6 Texan combat trainers fly side by side over the skies of Minnesota. 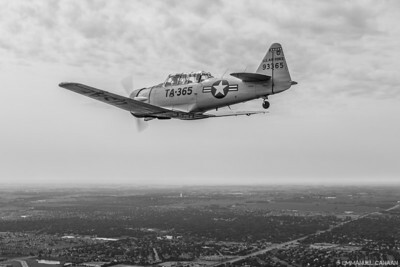 The T-6 Texan played an important role as a combat trainer for WWII pilots. 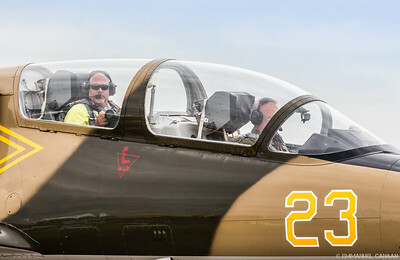 Seen here in its second life giving rides to airshow attendees at Air Expo 2014 in Eden Prairie, Minnesota. 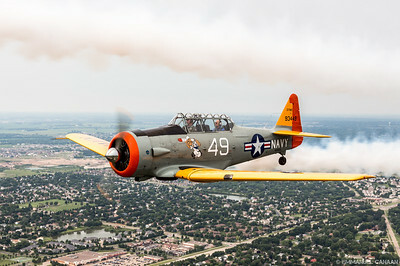 A WWII-era T-6 Texan combat trainer performs a beautiful formation turn over the skies of Minnesota. 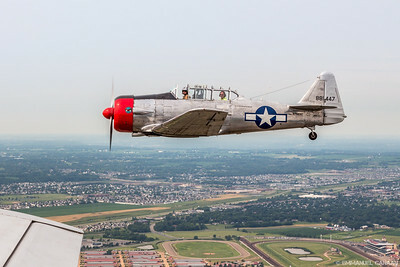 A passenger on a WWII-era T-6 Texan photographs me with his iPhone while flying in tight formation with three other T-6 aircraft. 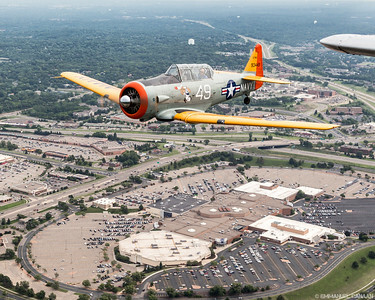 A flight of T-6 Texans flies over Burnsville Shopping Center in Burnsville, Minnesota. 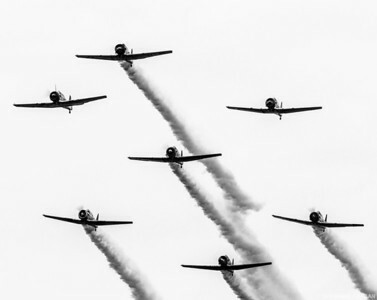 A group of seven WWII-era T-6 combat trainers make a low pass in front of the crowd at AirExpo 2014 in Eden Prairie, Minnesota. 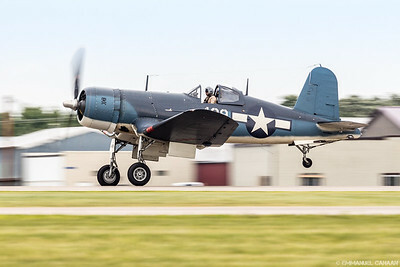 A WWII-era Chance Vought FG-1D Corsair screams out of Flying Cloud airport to the delight of AirExpo 2014 fans. 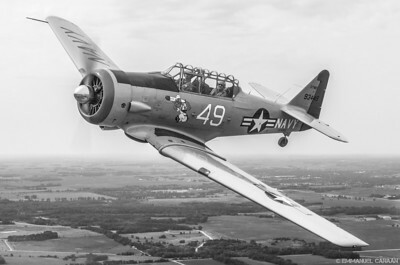 It was known as the Ensign Eliminator due to the increased difficulty to fly it over other aircraft of the era. 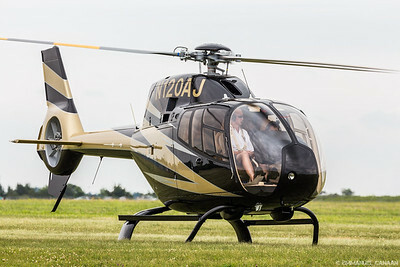 A Eurocopter EC-120B prepares to take a group of lucky fliers up for a ride at AirExpo 2014. 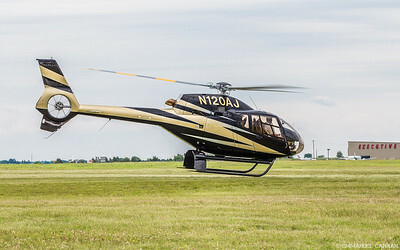 A Eurocopter EC-120B spins up its turboshaft engine as it takes to the sikes at AirExpo 2014. 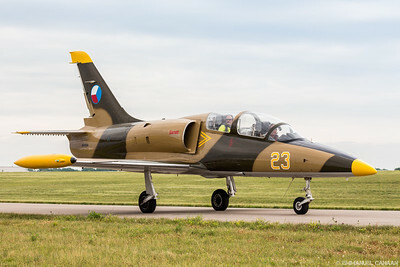 The Czechoslovakian-built Aero L-39 Albatros prepares to show off for AirExpo 2014 crowds at Flying Cloud airport in Eden Prairie, Minnesota. He wins as I'm on the wrong side of this aircraft! 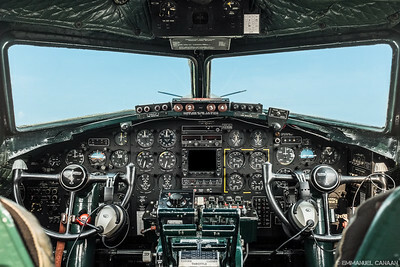 The powerful jet engine of the Aero L-30 Albatros thrusts it into the skies at Flying Cloud airport. 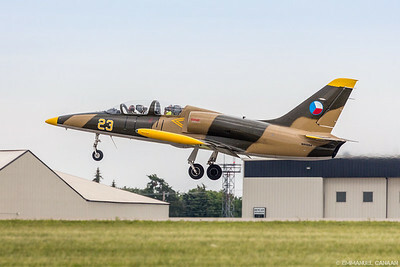 An aircraft right out of the history books passes right in front of my eyes at AirExpo 2014. 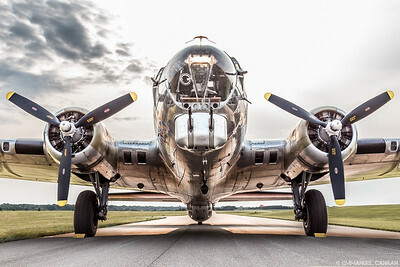 Seen here is one of only 13 airworthy B-17 airframes left in existence, the Yankee Lady. 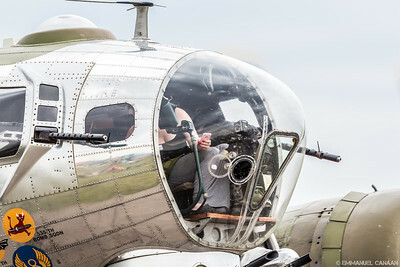 A lucky rider adds a bit of updated tech to the WWII-era Boeing B-17 "Yankee Lady" with her pink iPhone. 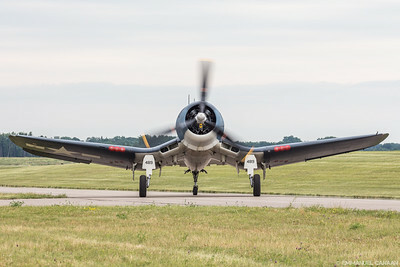 A Corsair FG1D shows off its unique bent wing design. 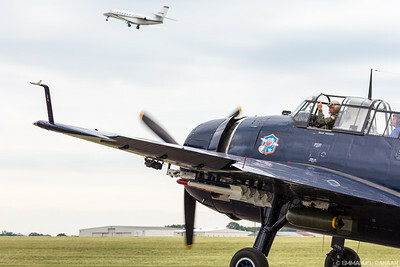 The General Motors variant of the Grumman TBF Avenger, designated the TBM, looks on as a much more modern aircraft departs Flying Cloud airport in Eden Prairie, Minnesota. 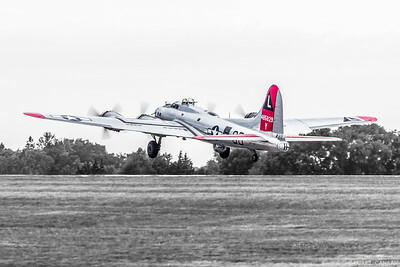 Mixing old and new, one of only 13 airworthy WWII-era Boeing B-17 Flying Fortresses worldwide, the Yankee Lady takes to the skies at AirExpo 2014 in Eden Prairie, Minnesota. 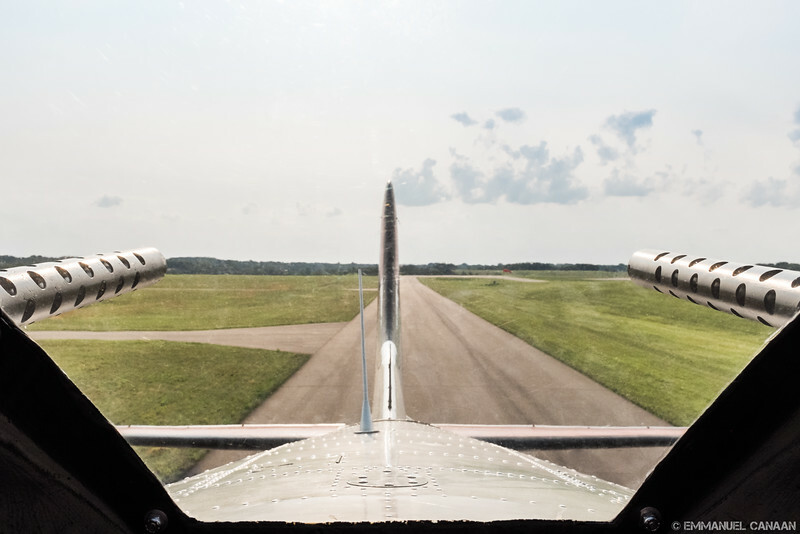 The view no Messerschmitt pilot ever wanted to see of a B-17, staring straight down the barrels of its twin .50 caliber tail guns.